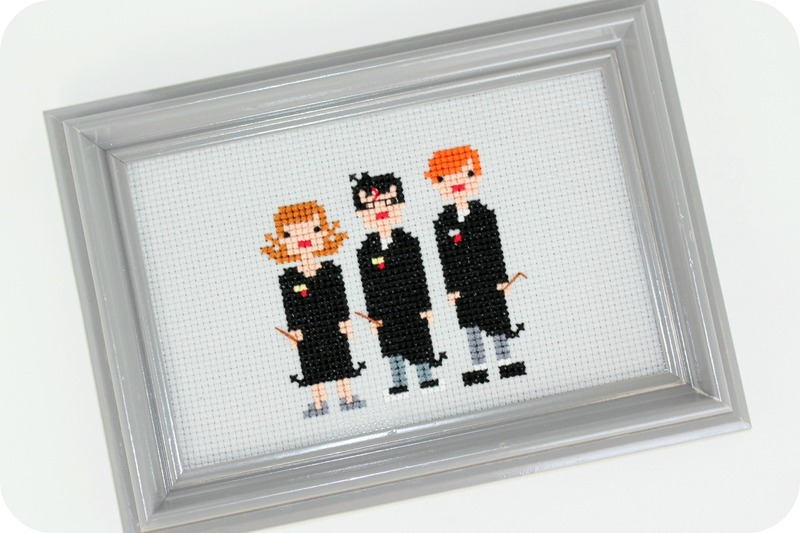 You might remember my last post about my Harry Potter cross stitch project (find it here). I have since finished and am happy to share them here with you. All finished and framed and hanging in my studio where I lovingly admire them each time I walk by. I am ready to tackle another big project, but I am thinking embroidery this time. I am having a hard time picking a pattern and then I have to think about colors and fabric and then I get overwhelmed with all the decision making and end up in front of the tv with Gilmore Girls. Which is where I am now. I have never seen a single Harry Porter, nor read any of the books. I know, I'm like an anomaly. But regardless, your little cross stitches are so cute! Makes me almost want to give cross stitch a try. So cute! You did a fantastic job. I'm hoping to get into some cross-stitch or embroidery soon. Ahhh, I love to cross stitch. I started to cross when I was pregnant with our last child of four. You are so right it takes a long time to complete, I agree that the effort is worth the beautiful results. You did an awesome Job! I love those Harry Potter cross-stitches! They are so adorable! I love Harry Potter, too, and you can't love Harry Potter too much! (I love Gilmore Girls, too). :) Have a great week. Cute! Cross stitching does take a long time... it's why I haven't gone back to it in years. I do miss it, though. Are you kidding me? This is the cutest thing I've ever seen! You are SO talented! Oh, and just to let you know- I am the BIGGEST Harry Potter dork too! So you're not alone! I can see why you get great satisfaction and joy from your HP projects. I love him way too much too. Thanks for showing these and giving the web site with the patterns. Makes me want to make a batch of my own! These are so awesome! 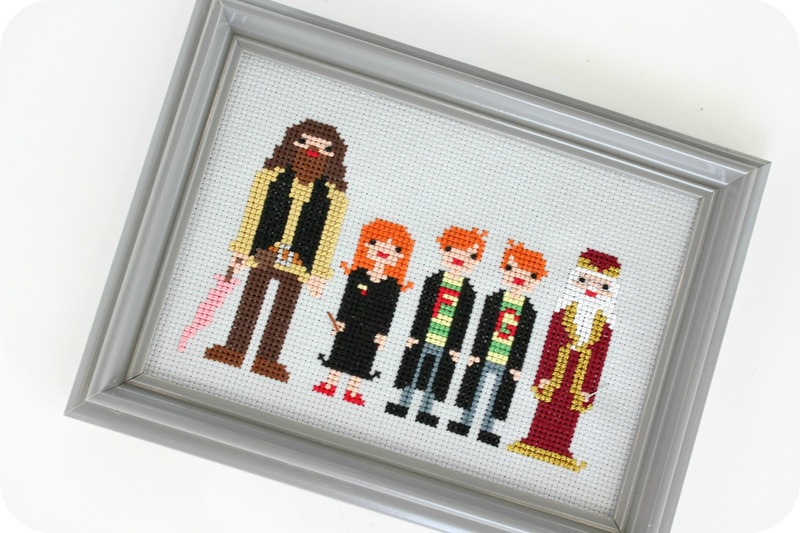 I'm a fan of the Harry Potter books and also of weelittlestitches, I just got their Buffy the Vampire Slayer pattern and can't wait to get started!